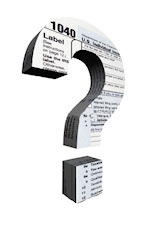 Most tax offices charge based on forms utilized. The more complex, the higher the preparation fees. Here at Pro Tax Plus our goal is to charge lower then the national chain competitors. Yes, the costumer is always given a copy of the final return. Additional copies c an be obtained for a small fee of $25. The taxpayer can also obtain a copy of their 1040 and W-2 from the IRS for a fee of $85 and with a wait time of 60 days. You can generally expect your refund in less than 21 days. Receipt of refund may vary if taxpayer has existing debt or other concerns with the IRS. E-filing or (electronic filing) is the process of electronically sending tax return information to the IRS instead of sending in a paper tax return. The IRS is moving to eliminate paper returns in the future because electronic returns are more accurate. As a taxpayer you receive the benefit of a faster refund by e-filing your return. Can we prepare past years returns? Yes. We can assist you in filing your unfiled prior year returns.